The privacy fence, the picket fence, the split rail, the post and rail fence. 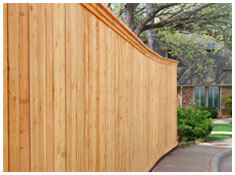 Each style of wood fence offers a unique look and gives your house and landscaping a defined character. 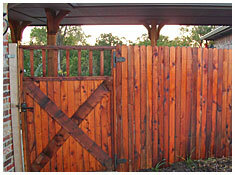 During installation we use special materials and techniques to add to the life of your fence. We use double galvanized ring shank nails to avoid corrosion, we dig post holes to 9" round and use 4000 psi concrete for added life. 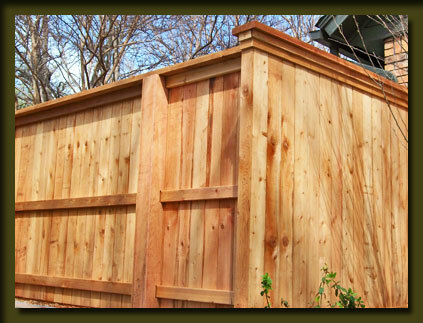 We use a variety of materials in constructing wood fences, from the durability of cedar to the economy of spruce. The materials play an important part in not only the beauty of the fence, but also how well it stands up to Oklahoma’s weather and time. In residential applications, metal fencing adds an elegance to your property, providing security but allowing you to showcase your property with open site lines. 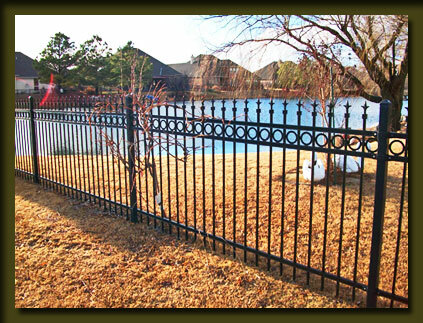 For instance, we can install pre-fabricated panels or customized wrought iron fencing for a truly unique look. In commercial applications, metal can provide that same style but is also associated with the strength to protect your buildings and property. Metal fences are also very practical, offer years of low maintenance protection. Aluminum is a great economical choice. It’s versatile and corrosion-resistant, making it great for pool enclosures. The style of aluminum fences can be very similar to wrought iron, giving you the same great looks at a lower cost. 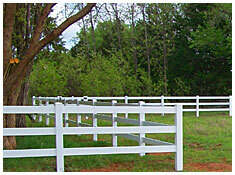 Ranch-style or horse fences typically follow a post and rail style, usually with 2-4 rails running horizontally. Traditionally used to contain livestock, these fences are also a popular choice with homeowners and business wanting to create a more open, “rural” feel on their perimeter. The design of these fences allows them to more easily follow the ups and downs of the terrain. Whether as a replacement to the picket fence in the front yard or running along an acreage, the open design of these fences make them a great choice for a variety of uses. 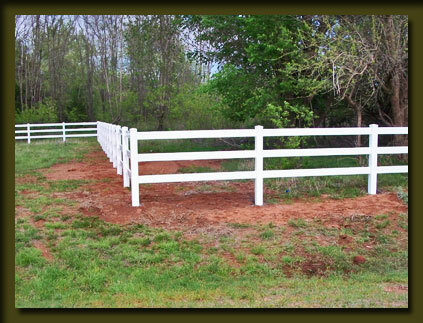 The fences can be made from wood, vinyl or welded metal, serving as just decorative or tuff enough for livestock containment. Even the best wood fencing materials needs protection from long-term exposure to the elements. Unprotected wood will crack, warp and deteriorate over time if not properly sealed. This not only makes the fence unattractive but jeopardizes its strength and durability. We use a special penetrating stain that doesn’t just coat the outside layer of the wood, but penetrates deeper to provide lasting protection. Our stains are mildew and UV resistant. We apply them smoothly so there’s no streaking, cracking or peeling. We coat every surface to protect all of the wood. 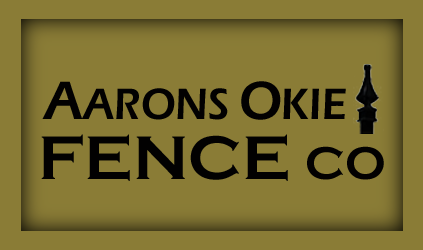 Aarons Okie Fence Co combines the best fencing materials with the best installation for years of durability and appearance. We have worked with a variety of fence styles to create your ideal pool fencing, using all the important safety guidelines of height, distance between slats, self-closing gates, etc. 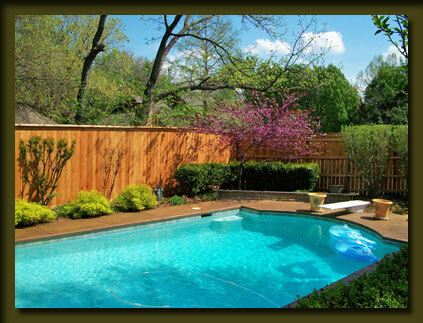 We have built pool fencing using wrought iron, aluminum picket style, wood and vinyl privacy and chain link. 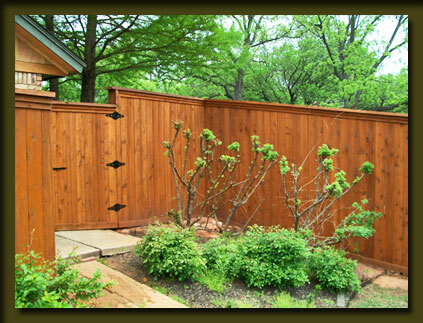 The style of fence depends on the setting you want to create. 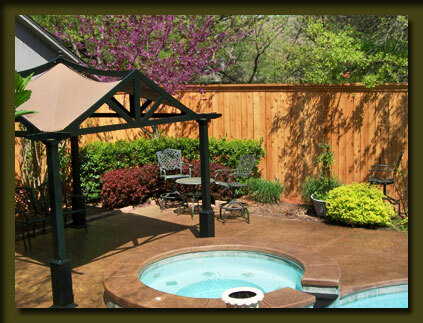 Privacy fencing is great for providing an aesthetically pleasing secluded area around your pool and hot tube. Wrought iron and aluminum picket allow you to view the rest of your property from the pool area while still enclosing the pool to protect children and pets. Chain link at least 4’ high offers the same advantages at an economical price point. Today chain link fences come in a few different of colors, like black and green, to better blend into the surrounding area if aesthetics are important. One of the primary advantages of chain link is the low maintenance. They usually don’t require any additional care and last for years. The wire mesh of the chain link is galvanized with a corrosion-resistant zinc coating to keep it looking good even though years of abusive weather. And since it’s not solid, it stands up a lot better to our Oklahoma winds. Chain link fences are a great low-cost alternative whether you’re installing a fence for your home, your business or cover acres of land. Chain link has always be synonymous with security and protection. Even if it’s just to protect your favorite pets from getting out of your yard. Privacy fencing not only offers you protection and a screen from people looking in to your property, it provides a secluded retreat to shut out the rest of the world and let you enjoy your own space. Privacy fences can be constructed with no gaps to reduce visibility and also make them difficult to climb, protecting your property. Privacy fencing typically range from 4’ tall (as in pool fencing) to 6’, 8’ or even taller depending on the on the slope of the surrounding land and local building codes. Vinyl fences are very cost effective when you look at the lack of needing to replace sections and the number of years they last. The tensile strength of vinyl if five times stronger than wood. It’s more flexible so it stands up to wind and storms better. Other than an occasional cleaning, vinyl is extremely low maintenance, never requiring repainting or staining. Vinyl is also not susceptible to rusting, rotting, decomposing or insect damage. We like to use galvanized metal posts for added strength on our wood privacy fences, but we can then added additional panels to hide the post. This gives the fence a much more finished look, especially combined with a 2 x 8” fence cape to completely cover the top of the post. 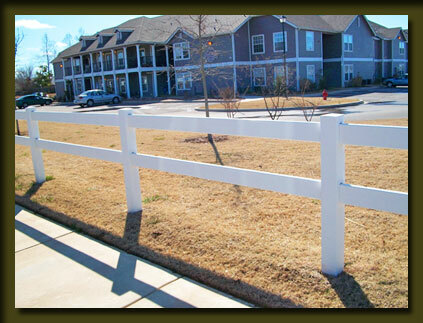 We have even constructed double finished sides for clients so that each neighbor can enjoy a smooth fence line. In commercial application, privacy fencing can be used to conceal unsightly areas or storage. Another important consideration is what surface will the fence be put into? Pre-existing hard surfaces will dictate a different installation than simply installing the fence directly into the ground. Other considerations will be the entrance to the pool area. These durable finishes come in a variety of colors to match your home or building and your style preferences. 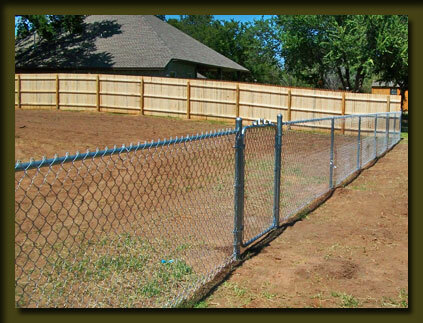 Vinyl fencing comes in a variety of styles and can be used for a number of purposes. For instance, picket fences in styles from a classic straight design to a Cape Cod Concave. Privacy fences or semi-private, even with lattice styles along the top edge. 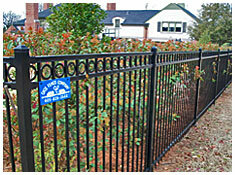 Pool fences, tougher livestock fences and a variety of rail fences.